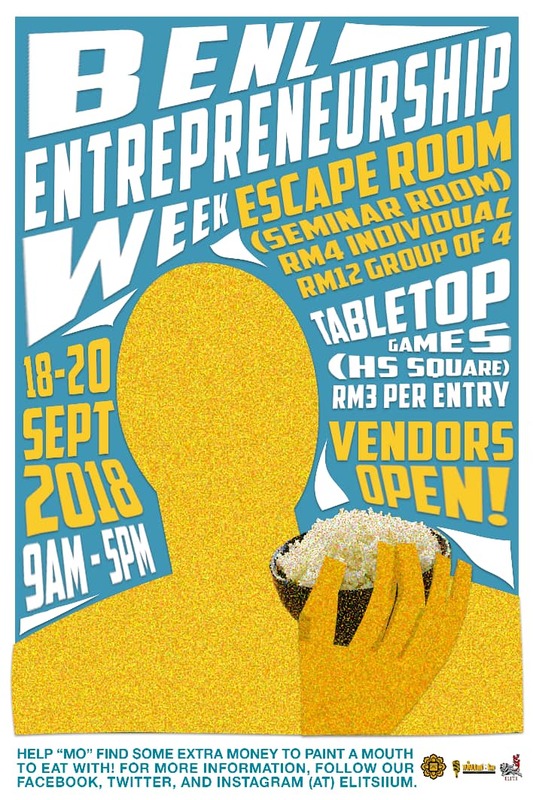 GOMBAK, 20 September 2018: For the first time students of English Language and Literature (BENL) held a bazaar called “BENL entrepreneur week” to encourage students to build entrepreneurial skills. It was held at HS square from 18 to 20 September from 08.30 am until 05.00 pm. Organised by English Language and Literature Secretariat (ELITS), the event was aimed at building entrepreneurship skills among their students as wells as to encourage others to build their soft skills. The event consist of various activities – vendors (cosmetics, foods, clothes), table top games, and escape rooms – located at HS square, corridor, and seminar room level 3 respectively. Escape room is a maze game with the secret inside, consisting of major and minor games. Students just have to pay RM4 for escape room and RM3 for table top games. Apart from IIUM students, there were exchange students too from University of South Australia joining this event.